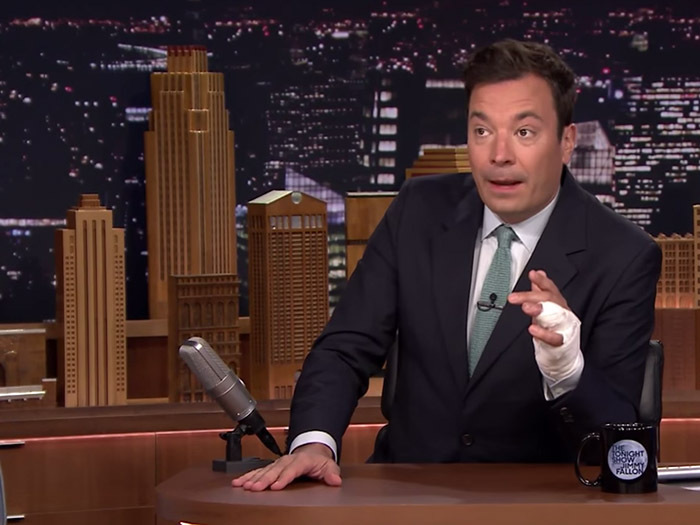 Recently talk show host Jimmy Fallon explained to his audience how a seemingly minor fall nearly cost him a finger – shedding light on a rare yet serious finger trauma known as a Ring Avulsion injury. A ring avulsion injury often occurs when a ring that an individual is wearing is caught on an object, usually during a fall or jump. It can also occur when caught on fast moving equipment or just simply in a simple “freak” accident. Damage from the abrupt and often harsh tug of the caught ring can range from a simple bruise to “degloving” of soft tissue – pulling the skin off and stripping away the nerves, tendons and bone. Severe accidents may result in traumatic amputation of the finger. Ring avulsion can be among one of the most devastating traumatic finger injuries, as often replantation following severe soft tissue damage is not possible. The majority or people who suffer a ring avulsion injury end up losing their fingers to amputation because it is almost always difficult to reconstruct the finger.